The MTube software is a clean and user-intuitive 3D tube design application for simple and easy creation of 3D tube profiles. As well as designing tubes, MTube allows you to import CAD files and assemblies, without requiring additional CAD software. The files can be imported as tube designs or as sheet metal parts from Autodesk Inventor®, SOLIDWORKS®, PTC Creo ®, Solid Edge®, Parasolid, IGES, JT, NX, SAT, STEP, STL, and other CAD formats. Tubes and assemblies can be transferred from MTube into cncKad, and sheet metal parts can be transferred into cncKad and MBend for further processing. Another feature of MTube is the ability to create bend cuts in rectangular tubes. The Metalix MTube software is a 3D tube design application for simple and easy creation of 3D tubes. 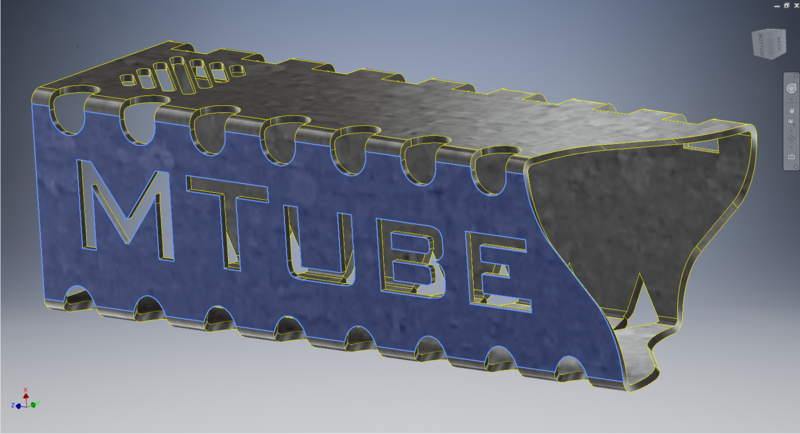 MTube lets you quickly create bend cutting in rectangular tubes. Metalix provides industry-standard tube import to MTube. The 3D export option allows you to seamlessly transport files from the MTube software into cncKad and MBend.